The Walk to End Epilepsy — Pennsylvania Series is so important to us because it brings together our entire epilepsy community in a show of support for those impacted by seizures. This year, we’re not only uniting in Eastern PA, but across the country to End Epilepsy. That’s why our theme for the Walks are “Who Do You Walk For” — to help others learn more about epilepsy and honor those living with it each and every day. One part of this is our Team Spotlights, where we encourage you to learn a little more about some of the teams participating throughout our region. Read below to meet some of our teams! This week’s spotlight is shining on 8-year-old Epilepsy Warrior, Alyssa Neri, and her Walk Team, Amazing Alyssa’s Squad! Lisa and Jesse, Alyssa’s parents, will be bringing their family to the Walk to End Epilepsy – Philadelphia for the first time on June 15. They’re looking forward to turning Citizens Bank Park purple! Three years ago, Lisa put Alyssa to bed but shortly after heard her calling. When Lisa and Jesse rushed into her room, they witnessed five-year-old Alyssa having her first seizure. The couple had never seen a seizure before and called an ambulance. Once at the hospital, doctors were able to stop Alyssa’s seizure with medication. That night, her medical team conducted all sorts of testing before the Neri Family was discharged and able to go home the next morning. 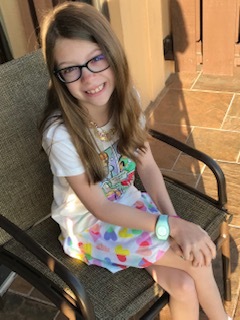 A few months later, Alyssa had her second seizure and was officially diagnosed with Benign Rolandic, a childhood epilepsy in which seizures typically occur while falling asleep and/or waking up. Alyssa would experience an aura, describing it as a tingle in her right pinky finger. With medications, Alyssa was seizure free for two years. But last May, Alyssa had two breakthrough seizures which restarted her battle to gain control over seizures. When Alyssa had another seizure this January, her care team suggested considering alternative treatments like the ketogenic diet or surgery. Alyssa is very energetic and is always preforming – from singing and dancing to practicing gymnastic and karate. Lisa jokes that Alyssa started communicating at an early age and since then, she goes to bed talking, and she wakes up talking! While at an appointment this winter, Alyssa was anxious about the tests and expressed she felt alone. Lisa wanted to show Alyssa that she’s not the only person living with epilepsy and facing associated daily obstacles. That’s when Lisa found the EFEPA’s Walk to End Epilepsy. Amazing Alyssa’s Squad will be walking on June 15 to support Alyssa and show her and others that they are not alone in this fight. The EFEPA is honored to host a Walk each year where we can build community around an, at times, isolating diagnosis and can come together to support and celebrate those living with epilepsy. 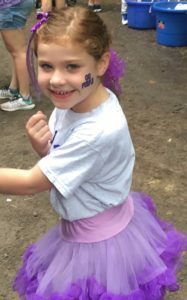 We are proud to welcome the Neri Family as first-time Walkers and to join them in honoring Epilepsy Warriors like Alyssa. We’re excited to welcome first-time walkers, Team Jefferson, to the Walk to End Epilepsy – Lehigh Valley! The team is comprised of husband and wife duo, Elizabeth and Frank McCormick, and their 16-year-old son, Steven. The McCormick family’s journey began in 1997 when Frank suffered a head injury in a car accident. Six months later, Frank experienced his first grand mal seizure. Frank’s seizures were controlled with medication until 2010 when breakthrough cluster seizures began his epilepsy battle in earnest. Through 2015, he was experiencing migraines and memory loss. A visit to the hospital helped reveal he was experiencing absence seizures. “One day, Frank just woke up and didn’t know where he was,” Elizabeth explains. While in the Jefferson hospital, Dr. Young suggested the family visit Jefferson Comprehensive Epilepsy Center. The couple went to see Dr. Ambrose who believed Frank would be a good candidate for surgery. For months, Frank went through rounds of testing. On Christmas Eve, the family received a call that 98% of Frank’s seizures were stemming from one location in the brain – and surgery was a very viable option. In January 2017, Frank underwent surgery for a right temporal lobotomy. Since the procedure, Frank has been seizure free! Over the course of six months, Frank’s crippling migraines dissipated as well. “2017 was a rebuilding year,” Elizabeth explains. Before the surgery, Frank’s seizures and migraines prevented him from living life to the fullest. Light was the enemy, and the simple act of reading was prohibitive. But after surgery, the family could open the window and let sunlight in. And Frank is now reading again! While he’s still experiencing some memory lost, he’s improving daily and finding ways to cope. Team Jefferson, named in honor of the Epilepsy Center that changed the McCormick’s lives, are walking to share their story. “We recognize that Frank is very fortunate, and that not everyone has the same story. That’s why we’re walking – to pay it forward!” Elizabeth expresses. 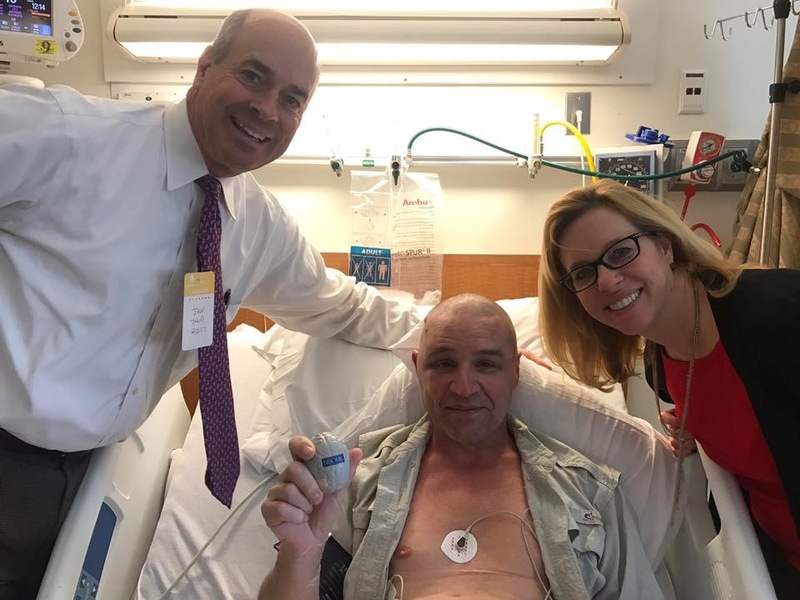 Frank is also eager to get more involved with the Foundation and speak with others facing similar challenges who might be hesitant to consider surgery. The EFEPA is proud to host our first standalone Walk to End Epilepsy – Lehigh Valley, and we’re thrilled to welcome new Epilepsy Warriors like the McCormick Family! 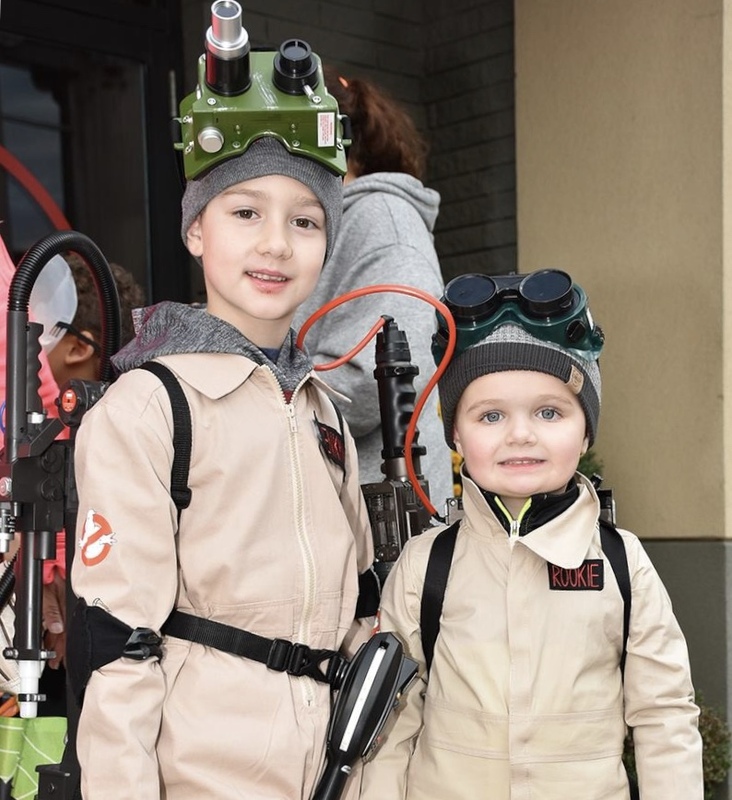 For the second year in a row, Team Jaxson’s Genetics is rallying their family and friends to Walk to End Epilepsy in Northeast PA on April 6th. Jaxson Chapman was only weeks old when he had his first seizure. He was originally misdiagnosed with acid reflux, but his mother, Kristen Chapman, knew something else was wrong and persisted. After several weeks and multiple inconclusive doctor visits, Kris videotaped Jaxson having a seizure and sent it to his pediatrician. He went for EEGs and was diagnosed with infantile spasms, a form of childhood epilepsy. Additional testing discovered the root of Jaxson’s epilepsy stems from a rare genetic mutation in his DNA called STXBP1. At the time Jaxson was diagnosed, there were less than 200 cases identified in the world. Kris fought for her son, whose diagnosis remained a mystery until she insisted something was wrong. Jaxson is now two and a half years old and he is the light of his family’s lives. They describe him as a pure joy. “He is the happiest boy I’ve ever met – he never cries!” Kris exclaims, “He’s very affectionate and loves to give hugs and kisses.” The Chapman family takes each day at a time and celebrates every victory. Team Jaxson’s Genetics is bringing Jaxson’s contagious joy to the Walk to End Epilepsy – Northeast PA on April 6. They Walk to represent Jaxson and to support the programs provided by the EFEPA. Kris explains that their family loves the EFEPA’s work – from monthly support groups to seizure first aid training for schools and law enforcements. Kris attends the Wilkes-Barre support group and thanks the EFEPA for providing a space for her to feel empowered. 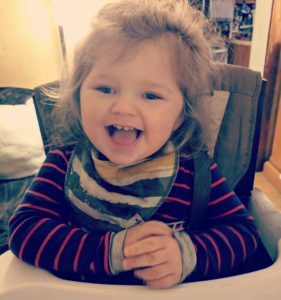 Team Jaxson is walking so others can have access to information, resources and friendships offered by the EFEPA when they are faced with an epilepsy diagnosis. Meet the Seizurebusters, led by Jack Dodgson! Jack is 7 years old and in 1st grade. He likes school and does really well. He loves to read and also enjoys playing sports like basketball, soccer, baseball, and golf. Jack is brave and doesn’t let epilepsy control his life! In May 2017, Jack started having focal impaired awareness seizures. Over the next two years, Jack tried four different medications. Like so many others, his medical team struggles to find the right combinations to control his seizures. He can have up to 6 seizures in a day. However, when we spoke with his mom, Bethie, Jack was celebrating 9 days seizure-free! On April 6th, Jack and Team Seizurebusters will Walk to End Epilepsy at the iconic Scranton/Wilkes-Barre RailRiders stadium in Moosic, PA. Team Seizurebusters also includes Jack’s dad, Scott, his younger brother, Ben, and Bethie. They walk to show Jack how many friends and family love and support him. It’s very important to the Dodgson family to support the EFEPA, who has been there through the ups-and-downs of the diagnosis. They hope to see more funding of research to develop better medications for kids with drug resistant epilepsies like Jack. Keep communication open and ongoing with family, friends, teachers, coaches etc. about you or your loved one’s condition. This can aid in reducing misconceptions, promoting acceptance, providing reassurance and proper care, and improving quality of life. Team Seizurebusters walks to represent Jack and all those who are dealing with similar challenges. The EFEPA is proud to join Jack’s family and the thousands of epilepsy champions across the country who Walk to End Epilepsy. Meet Addison Wright, captain of Addison’s Army Walk for Epilepsy – Philadelphia! Addison first started having seizures when she was five years old. Her journey has consisted of trying different medications and treatments, the Ketogenic Diet, as well as the VNS implant. While living with epilepsy has been a challenge for Addison and her family, Addison’s diagnosis does not and will not stop her. She keeps positive and doesn’t let her epilepsy define her or slow her down. Addison loves singing and is in her school’s chorus, but you can probably catch her singing for fun in her free time as well. 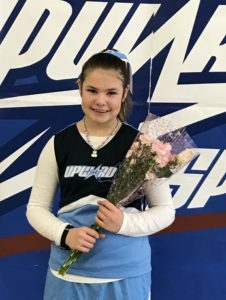 She is also very physically active, as she is a member of the gymnastics team and the cheerleading squad. Whether it’s through singing, gymnastics, or cheerleading – Addison’s energy is contagious. Her team, Addison’s Army, is comprised of her parents, siblings, grandparents, relatives, and friends. Their “Army” marches on so others know they aren’t alone in their fight against epilepsy. They march with other teams to meet new people who also have epilepsy and make new friends. They march to show people living with epilepsy that they can continue to live their lives and aren’t defined by the stigma associated with seizures. They march for and with Addison. And so do we. This spotlight is shining bright on Ben Manicke! 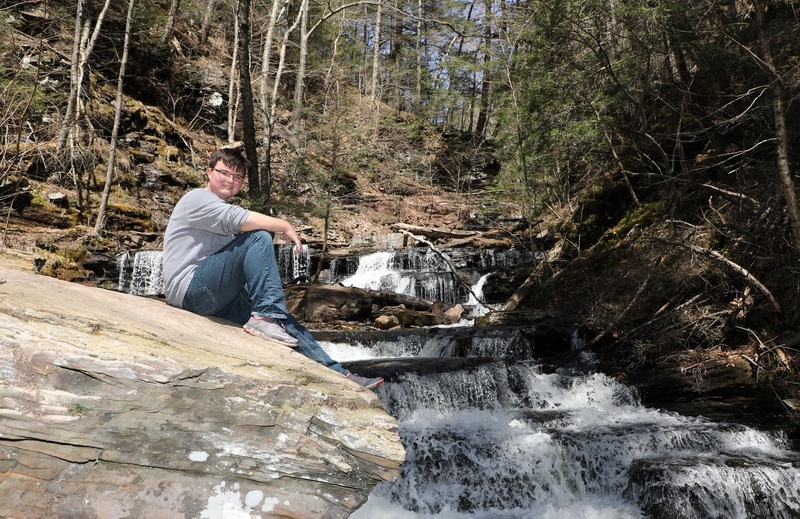 He is the man leading the charge of Ben’s Brigade, his team for the Walk for Epilepsy – Northeast PA.
Ben was in the first grade when he had his first seizure. While initially there was some shock and adjustment, Ben and his family have not let epilepsy slow them down. Ben’s favorite subjects in school are Science and History. On a free afternoon, he enjoys playing a smooth tune on his saxophone. Ben is also a programming guru and has designed multiple games and apps for phones and computers. Whether it be a reincarnation of early arcade video games like Pong, or a new game of his own invention, Ben loves creating something new in the digital realm. He plans on making a career out of his programming expertise. Ben and his family formed their Walk team, Ben’s Brigade, in support of him and to show others they aren’t alone. Ben’s Mom, Tami, recalls being shocked by how many people are affected by epilepsy the first time they came to the Walk. She was so inspired by the act of solidarity and hope from everyone working towards a common goal of support and a cure. Ben feels encouraged when he sees everyone Walk for Epilepsy together. He believes it is important that people give back, work together, and support each other. He encourages everyone to remember that we are more than epilepsy and that we are here for each other. “You can’t let it hold you back. You can’t let it control you.” – Ben Manicke. Look out, everyone, here comes Morgan McDonald and her team, Marching for Morgan! 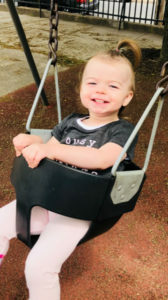 Morgan’s epilepsy is connected to Sturge-Weber syndrome and she had her first seizure when she was 6 months old. Morgan is way more interested in singing a tune or dancing around than letting her epilepsy weigh her down. Morgan is in the second grade and likes to explore her creative side in her favorite school subjects: music and art. Her artistic talents extend far outside the classroom where she couples her love for singing with her skills in dance. She also loves playing hairdresser and doing makeup, making sure her friends always look fantastic. Morgan’s mom, Rebecca, started the “Marching for Morgan” team a few short months after Morgan’s first seizure. The team started small, but has now grown to around 20 members! Marching for Morgan does more than Walk for Epilepsy, though, they also do fundraisers like “Painting with a Twist” where they spend an evening painting with friends and entering raffles. Keep on marching, Morgan, and we will see you and your team on the field on June 24, 208! Time to introduce to you, The Amazing Grace Gindhart, of first-time Walkers, Team Amazing Grace! Grace is a true patriotic girl, being born on the 4th of July. Grace was diagnosed with epilepsy as a baby, but she has now been seizure-free for TWO months! Grace loves being around people and enjoying life. As seen in her picture, she enjoys soaking in the sun out on her swing with a big grin on her face. She also loves being read her favorite book by her Mom, Neely. The Walk for Epilepsy – Philadelphia will be the first Walk for Team Amazing Grace. Neely found out about the EFEPA online and was so excited that the community and the opportunity to walk were out there. Team Amazing Grace is a team of 100 walkers comprised of their supportive family, friends, co-workers, and South Philly community members. Neely made the point of, “Awareness, routine, understanding. Following a daily schedule helps us make sure Grace’s seizures are controlled and she is safe. Being responsible is important.” Neely believes that keeping up with what you are supposed to do, and what you say you are going to do, creates a safer environment. We can’t wait to see “Amazing Grace” out on the field at Citizens Bank Park walking for awareness! See you Sunday!